dissipating radioactive materials over NATO countries, as a stopgap measure to make up for the non-existent nuclear weapons arsenal. fact set in motion the nuclear arms race. Debunkers insist that the “incident” was a simple balloon accident exploited by “eyewitnesses” who keep changing their stories and by opportunists who have never stopped promoting theirs. If an alien spaceship had trekked across the Milky Way in 1947, it would have found our earth to be a dangerous place. A devastating war had ended only two years before; and instead of the sought-after peace, the planet was divided into two armed camps, each dominated by a superpower whose leaders believed that World War Three was inevitable, if not imminent. In earth orbit, the alien craft might have flown over the planet’s largest country: the Union of Soviet Socialist Republics. Its western half ruined by war, the nation had rallied to defeat the Nazi invaders and “liberate” all of Eastern Europe. Dictator Josef Stalin, a heartless butcher who had murdered millions of his own people in a reign of terror, was eager to expand his ill-gotten empire yet paranoid that the anti-Communist nations (soon to form NATO) were plotting to “roll back the Russians” and attack the Soviet Motherland. Flying west, the alien craft would have passed over Europe, struggling to recover from World War II and fearful of the Russians, who had ruthlessly occupied half the continent. Would Stalin unleash his mighty Red Army and conquer all of Europe as Hitler had done only eight years before? Across a large sea called the Atlantic Ocean, the cosmic travelers might have looked down on earth’s only hope for lasting freedom and democracy, the United States. Untouched by war and on the eve of great prosperity, many Americans were afraid yet another conflict would again send their sons, brothers and fathers overseas to fight and die by the tens of thousands. From high in space, would curious aliens have been able to determine that the United States possessed the one weapon that could deter the Communist threat? Could their sensors have detected lethal radiation still lingering over Hiroshima and Nagasaki, each destroyed with a single bomb less than two years before? Could beings from another planet have concluded that the hopes of the Free World hinged on the atomic bomb and the only technology capable of delivering it: the 509th Bomb Wing at Roswell, New Mexico? Had the alien spacecraft descended for a closer look, its occupants would have been appalled at the condition of America’s once elite bomber force. Could alien technology have concluded that the United States’ atomic arsenal consisted of a fleet of aging propeller-driven aircraft and fewer than half a dozen bombs? “The atomic bomb can only be used against people with weak nerves,” said Josef Stalin, who did not have weak nerves. Truman was stuck between a bomb and a madman. Western Europe was vastly outnumbered in troops, tanks and aircraft; if the Red Army charged through, the American President would be forced to launch a nuclear first strike at the heart of the Soviet Union: Moscow. For the flyers of the 509th Bomb Wing at Roswell, an attack on Moscow would be a suicide mission. The atomic bombings of Japan had been unopposed “milk runs.” Stalin’s Russia was a different story. Between the East European “Iron Curtain” and the Kremlin lay a bristling network of radar stations, antiaircraft batteries and fighter bases — PVO Strany — the combined Red Air Defense Forces. Unlike Communist spies so effective in the United States, the newly created Central Intelligence Agency knew next to nothing about Soviet defenses and was desperate to find out by any means, and at any cost, necessary. What the 509th had to have was a complete and current blueprint of PVO Strany: the location and capabilities of its radar stations, fighter aircraft and antiaircraft guns. Exploiting any weaknesses, the Roswell navigators could chart a “yellow brick road” to the Red capital. But how? Espionage? If James Bond had been real, seven hundred “007’s” wouldn’t have been able to make a dent in such a massive undertaking. Reconnaissance satellites had yet to be dreamt of, and high-altitude spy planes were still on the drawing board. Balloons? Project Mogul was ostensibly intended to develop constant-level weather balloons. Actually it was intended to develop a way to place low-frequency acoustic microphones at high altitudes to monitor possible Soviet nuclear detonations. Project Mogul would prove to be an expensive and impractical failure. Other tests had proven that recon balloons were a one-way ticket to nowhere. That became the whole idea! In the spring of 1947, the 509th Bomb Wing had begun a series of stratospheric balloon flights over New Mexico. Then something went wrong: a crash at a nearby ranch. So why did the Army Air Corps announce that it had “captured a flying disc”? At stake was national security at the highest level. Exposed at this crucial phase, the greatest intelligence-gathering mission in history would never have gotten off the ground. The “flying disc” hoopla was quickly put to rest. For years after, the “incident” attracted little attention. In 1966, the leading UFO groups — NICAP (National Investigations Committee on Aerial Phenomena) and APRO (Aerial Phenomena Research Organization) — did not even mention Roswell on their lists of “most important UFO cases” submitted for the Condon Committee Report, a University of Colorado study of UFO’s commissioned by the Air Force. It was not until after the Warren Commission Report investigating the assassination of JFK and the birth of “conspiracy theories” that Roswell got a second life. Vietnam, Watergate, Iran-Contra and the recent “Weapons of Mass Destruction in Iraq” furor caused more and more Americans to doubt the word of their government. But the resurgence of the Roswell “incident” seemed to defy logic: if we couldn’t trust the Federal Government — especially the military — why should anyone believe the Army Air Corps’ “flying disc”? Surely the Pentagon was hiding something. What were they still hiding? From the day Major Jesse A. Marcel of the 509th Bomb Group Intelligence Office revealed to the press that the “flying disc” was actually “a harmless high-altitude weather balloon,” the Roswell “cover-up” has been in plain sight. Out of sight, the 509th had been using high-altitude weather balloons for “radio triangulation” experiments. “Friendly” balloons were launched and then tracked by an “enemy” radar station, which reported back to “enemy” headquarters. Again and again for weeks on end, the “enemy” communications were monitored by two separate “friendly” listening posts. Repeatedly employing azimuth and range, the location and capabilities of the “enemy” radar station could be narrowed down and confirmed. Such a grand operation first required a “cut-out” sponsor that would bring legitimacy to the scheme and a “cover story” to conceal its true purpose. In short, anti-Communist propaganda over the air waves. But radio was only the beginning; the sky was the limit. The Roswell radar results were going to take to the air. Hydrogen-filled balloons, many with aluminum radar reflectors attached, carrying two to seven pounds of precious cargo, were launched from western Europe to drift eastward. The liberal press ate it up. Anti-Communists around the world applauded. The angry Soviets protested. PVO Strany tracked the balloons and alerted aircraft batteries and fighter bases. Thousands were shot down just as the 509th Bomb Group and the CIA had anticipated since the top secret tests had begun at Roswell. The atomic “road map” through PVO Strany had been charted. What had been envisioned as an Iron Curtain was revealed to be an incomplete patchwork of obsolete radar stations still under construction and woefully behind the West. By that time, however, the Soviets had their own atomic bomb as well as their first atomic bomber, a bolt-for-bolt copy of the B-29, the same four-engine bomber the 509th had used to drop the first A-bombs on Japan. Through books, documentaries, TV series, museums, merchandise, and movies, Roswell has flourished as an American myth and moneymaker. In truth, the “incident” is a strung-together collection of cover stories concocted by the Army Air Corps, the United States Air Force, and the Central Intelligence Agency; and it has been exploited by hucksters, hacks and Hollywood. For nearly six decades, so many have been convinced that the American government has been covering up the “flying disc” when all the while it’s been the “flying disc” covering up for the American government. One can only wonder what space aliens would have made of it. In 1964, Kevin Ahearn was the youngest airman ever to graduate from the U.S. Air Force’s Communications Intelligence School at Goodfellow AF Base. With a Top Secret Codeword security clearance, he served for three years as a Radio Intercept Analyst in Europe. Project PaperClip was the code name for the now controversial project to use Nazi scientists to further American technological advances. I say controversial now because 60 years ago it was top secret. These men all helped the US to advance it’s research with cutting edge technology and their research still leads the way even today. After the end of World War II there was a mad rush to between the then “allies” to acquire as much of Germany’s resources as possible. This charge was mainly led by 2 groups, the US and Soviet Russia. Both groups wanted the remove as much technology and expertise from the remains of the 1000 year Reich as possible. When allied forces moved into Germany the accomplishment of German scientists astounded allied forces. Supersonic rockets, nerve gas, jet aircraft, guided missiles, stealth technology and hardened armour were just some of the incredible projects being developed in Nazi laboratories and research facilities right up to the fall of Germany in 1945. Although officially the cold war started around 1949 and 1950 when NATO and the Warsaw pact were formed respectively it seemed obvious what was coming right back in 1945. There were 2 different visions of the world, 2 different ideologies, capitalism and communism. The US was already looking at keeping it’s nuclear discoveries secret as recommended in The Franck Report in July 1945. The Soviets had a similar plan with the Iron Curtain, keep military and scientific discoveries secret from the US and other nations. Secrecy led to mistrust which led to other things among one of which was the Cold War. When Russia rolled into Germany in May 1945 they took control of the Kaiser Wilhelm Institute in Berlin and all the nuclear secrets stored there. This gave them the ability to build the vast Soviet Nuclear Arsenal which was another contribution to the proliferation of these arms across the world. The US removed the infamous V-2 rockets from the Nordhausen complex, built under the Harz Mountains in central Germany, just before the Soviets took over the factory, in what would become their area of occupation. The US also managed to secure the team which had built the V-2, led by Wernher von Braun. At this point events moved rapidly, President Truman gave authorization of Project PaperClip in August 1945 and by the 18th of November the first German scientists were arriving in America. There was, however, one large problem. Truman had explicitly ordered that anyone discovered “to have been a member of the Nazi party and more than a nominal participant in its activities, or an active supporter of Nazism militarism” would not be included in the project. Sadly for the US military this would have excluded most scientists since for scientists working on top-secret projects like those undertaken by Germany during the war, Nazi party membership was as good as mandatory. You were never really trusted unless you were a good Nazi party member. Under Truman’s criteria Von Braun was ineligible for work since he was a member of numerous Nazi organisations, and also held rank in the SS. His initial intelligence file described him as “a security risk”. Examples of other such ineligible people included Arthur Rudolph, chief operations director at Nordhausen, where 20,000 slave labourers died producing V-2 missiles. He led the team which built the Saturn V rocket which carried most of NASA’s Apollo missions into space. Described as “100 per cent Nazi, dangerous type”. Hubertus Strughold who designed Nasa’s on-board life-support systems. Some of his subordinates, under his supervision, conducted human experiments at Dachau and Auschwitz, where inmates were frozen and put into low-pressure chambers, often dying in the process. Knowing these people were ineligible and that this would hurt the US militaries advances their alleged crimes were covered up and their backgrounds whitewashed by the military who saw winning the Cold War, and not upholding justice, as its first priority, which while understandable does demonstrate a worrying lack of accountability. With its radar-dodging carbon injected plywood skin and swept-back single wing, the 1944 Horten Ho 229 was arguably the first stealth aircraft. This gave way to the later developed B-2 stealth bomber which was effectively a clone of the Horton Ho, produced by Northrop Aviation, now called Northrop Grumman, at a cost of $2 billion. They were given a Horten Ho to work from and almost a generation later produced one of the most versatile and devastating planes ever built. The latest cruise missiles are still based largely on the German V rocket program. 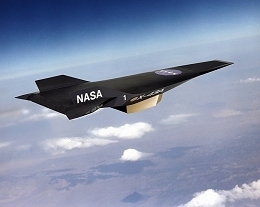 NASA’s latest scram-jet engines powering the latest X-43 hypersonic aircraft are again built on principles founded by German scientists over 60 years ago. These are only the files which have been released though; there are many more Project Paperclip files which are still top secret. This has led Nick Cook, Aerospace Consultant at Jane’s Defence Weekly, to speculate that “the US may have developed even more advanced Nazi technology, including anti-gravity devices, a potential source of vast amounts of free energy. Such technology could be so destructive that it would endanger world peace and the US decided to keep it secret for a long time”. While I can sympathize with the US wanting to win the cold war I can also see how their methods were of dubious moral values. They were effectively working off the back of people who tortured and researched on Human subjects. People who, only a few years prior, had just one goal, to take over the world. Again the argument could be played that since Russia were using German technology the US had to do the same to compete with them. How would the world be different if America hadn’t used German research, ideas and scientists? If Russia had succeeded in its goal of bringing communism to the world I think the world as we know it would be almost unrecognizable. Communism doesn’t work, that fact has been proved time and time again. Countries like the People’s Republic of China have had to adopt capitalism in order to survive, and they are thriving as a result. I do fear that they will become very powerful though and that they are only embracing capitalism for as long as it benefits them. The political leadership is still deeply in love with the Communist ideals of Marx, Lenin, Trotsky, and more so in the PRC, Mao and since it is a one party state this doesn’t look set to change any time soon. I can see why America did what they did, and I am grateful for that, we have some of the world’s grandest scientific advances as a result, but we must never forget those millions who died at the hands of Nazi Germany to make these advancements possible. "Reports of flying saucers whizzing through the sky fell off sharply today as the Army and Navy began a concentrated campaign to stop the rumors." So began the July 9, 1947, United Press article on the Roswell incident, the day after the infamous Roswell air base flying disk press release. This was followed quickly by Gen. Ramey's debunking of it as a recovered weather balloon and radar target. Although many are familiar with the photos of the balloon and radar target in Gen. Ramey's office at Fort Worth, Texas, few are aware of other military-related demonstrations that followed immediately afterwards. Weather balloons and assorted paraphernalia, particularly radar targets, were trotted out as the explanation for the nationwide flying saucer reports. In retrospect, these demonstrations were clearly part of the "concentrated campaign to stop the rumors." ....AT ROSWELL. ASSURE THAT CIC/TEAM SAID THIS MISSTATE MEANING OF STORY AND THINK LATE TODAY NEXT SENT OUT PR OF WEATHER BALLOONS WOULD FARE BETTER IF THEY ADD LAND DEMORAWIN CREWS. These lines contain a thumbnail sketch of the Roswell cover-up. First there was the Roswell base press release (the "misstate meaning of story") followed quickly by Gen. Ramey's weather balloon debunking in Fort Worth. Then in a mop-up operation in the days to follow came the weather balloon demonstrations and stories. Seemingly there was some question in their minds as to whether the public or press would buy into it without a follow-up propaganda campaign. The term RAWIN in "DEMORAWIN" was a meteorological jargon term for a RAdar WINd target. Not only was Gen. Ramey telling the press he thought the rubble in his office might be a weather balloon and radar target, he obviously knew it was judging, among other things, through his use of proper terminology. Later bringing in a weather officer (Irving Newton) for official identification was obviously just for show. The debunking campaign started the next day. So far, nine military balloon demonstrations in various parts of the country have been documented, with several more involving civilians being very suspicious, since they were spouting the same basic debunking story line and/or had close ties to the military. E.g. two demonstrations were held in New Jersey, one by the radar target/weather balloon manufacturers and another by a military scientist. The caption which accompanied one of the photos on July 11 in the Star-Telegram was typical of the debunkery of the other military balloon demonstrations, to be detailed below. First there was a claim that local residents mistook the balloon/RAWIN target for a flying disk. This was followed by the statement: "It was the wreckage of such an apparatus which discovered Tuesday on a New Mexico ranch, gave rise to an international report that a flying disk had been recovered by the Army Air Forces." The obvious purpose of this demonstration was to debunk both the saucers and the widely publicized events at Roswell. In addition to the radar target, a large radar tracking trailer is shown in the photos taken. Supposedly neither item was present at the base. Either this notion is grossly mistaken or the target and trailer were rushed in from the outside specifically for this demonstration. Either way, it is obvious the radar targets were readily available. It was later the contention of both Roswell intelligence officer Major Jesse Marcel and Ramey's Chief of Staff, Brig. Gen. Thomas Dubose, that Ramey substituted a radar target and weather balloon for the real Roswell material. Based on this testimony, crashed saucer proponents have long contended that Ramey must have had ready access to such a target. Ironically, the Fort Worth demo two days later, originally designed to further debunk Roswell and the saucers, now provides strong evidence to support the position of the crashed saucer camp. A similar demonstration was held July 9 in Alamogordo, N.M. at the site of the Mogul balloon launchings. One claim is that the demonstration served as a cover story for the secret Project Mogul. But rather than trying to conceal Mogul, they used the various balloon launches to again explain the flying saucer reports. The headline of the Alamogordo News story, "Fantasy of Flying Discs Explained Here," made that quite clear. People were allegedly seeing the reflective radar targets (even though Mogul records actually show that they were rarely used during that time frame). They also suggested that one of their targets was probably what the rancher found that was mistaken for a flying saucer. Buried deep in the story was a lame explanation for the balloon launches, saying they were used to train crews in radar tracking. This probably was a cover story for Mogul, but judging by the actual press coverage, it wasn't the primary purpose of the demonstration. The military also put together some sort of demonstration or used stock footage and a debunking newsreel was made. The radar targets were called the source of the "famous flying saucer." The targets were demonstrated being launched and said to be made of "rubber and sticks." This newsreel was probably widely disseminated in movie theaters throughout the country. Before TV news finally displaced the movie newsreels in the 1960s, they were a major source of both news and propaganda for movie goers. Probably millions of people would have seen this part of the debunking campaign. It would have been very influential in placing the idea in the public mind that the so-called saucers were nothing but weather balloons. The saucer-debunking demonstrations by the military were not restricted to Alamogordo and Fort Worth. Two were held by the Navy in Atlanta on July 9 and July 10, got picked up by United Press wire service, and received some national coverage. The Naval officers in charge of the demonstration made it quite clear that the sole purpose for the demonstration was to debunk the flying saucer reports. They called the enterprise "Project Saucer" and admitted never having used radar targets before at that weather station. There was also a claim made that the radar targets were used all over the country and in the same areas where people were reporting flying saucers. And just as in the Fort Worth demonstration, they claimed that their radar target demonstrations provoked a flood of flying disk reports from local residents. These demonstrations often had participants saying very similar things, as if they were working off of a common script of what they should tell the press. Another very noteworthy common thread was how all the demonstrations referred to the radar targets as "discs." But in the Ramey memo, Ramey draws a clear distinction between what was found and what the public was being told. What was found Ramey calls a "disc." The story the public was going to be told, however, was "of weather balloons." Equating the very undisk-like radar targets to the "flying discs" was an obvious attempt to blur the distinction between the two in the public mind. This also occurred in what the Dallas FBI office was told by one of Ramey's intelligence officers, according to a surviving FBI teletype from the late afternoon of July 8, in which the "hexagonal in shape" radar target was again equated to a "disc." Associated Press ran a photo on July 9, carried by various newspapers in the Midwest, showing the Army weather service in Kansas City launching a Mogul-style ML-307 radar target. Again there was the not-so-subtle suggestion that the radar targets accounted for the nationwide flurry of saucer reports and for what was recovered in New Mexico. Another noteworthy aspect of this photo is that it shows a portable radar-tracking trailer that is identical in style to that shown in the Fort Worth demo and also the military newsreel. Near Wright Field, Ohio, where at least some of the Roswell debris was taken, the Army's weather station at Wilmington carried out a demonstration on July 10. A Mogul-style radar target and the more commonly used radiosonde observation balloon (or raob) were shown being launched. Yet again, it was suggested that either one of these type weather balloons could account for the flying saucers. The Atlanta demo was mentioned along with the claim that it caused an immediate flurry of flying saucer reports. Also thrown in was the statement that the radar targets were used by weather stations all over the country. One of their weather officers had said the same thing a few days before commenting on a crashed radar target found near Circleville, Ohio.. In Seattle on July 9, there was a minor Naval demonstration of a raob balloon, along with the suggestion that maybe these weather balloons could account for the flying saucer sightings. Over at Boeing Aircraft Field on the same day, another Seattle newspaper took photos of a Mogul-style target in use there by the civilian weather service and used it to spoof the saucers. A military debunking connection is less clear here, even though Boeing Aircraft is obviously a major military contractor. Possibly someone connected to the military could have given the newspaper a call and suggested the photo shoot, but there is currently no evidence that this was the case. Back east, across the Hudson River from Manhattan, yet another RAWIN target demonstration was held at a New Jersey amusement park on July 10. The Brooklyn manufacturer of the Army ML-307 radar targets (the ones sometimes used by the Mogul balloon project) teamed up with the New Jersey weather balloon manufacturer, and then debunked the saucers as definitely being radar target sightings. One would think two businessmen would have better things to do in the middle of the work week. With military contracts being an important source of income, it seems plausible that a simple phone call from Washington could have "inspired" the two of them to get together and hold the debunking demo. The radar target manufacturer also gave an interview to another New Jersey newspaper where he again made similar absolutist claims that the radar targets explained the flying saucer reports. Further south in Asbury Park, N.J., only a few miles from the home of the Mogul Project, an engineer, who said he was affiliated with the local Army signal laboratory, contacted the newspaper and told a similar story. The flying saucer reports might be explained by the radar targets and radiosondes developed before the war at nearby Ft. Monmouth. Photos of both types of weather balloons accompanied the article. As in the Atlanta demo, a claim was made that the radar targets were widely used, and that many were constantly "used in the areas where flying discs have been reported." Once again, the similarity of wording is suspicious, and raises questions as to whether this individual was truly acting on his own initiative in going to the press. Another suspicious story originated in Albuquerque, N.M., was carried by the Associated Press, and reprinted in the Roswell Daily Record on July 9 and Tucumcari (N.M.) Daily News on July 10. The story began, "A weather bureau source, who declined use of his name..." The mysterious anonymous source claimed that a radiosonde balloon was the Corona, N.M. crash object mistaken for a flying disk and that these weather devices might also explain other flying saucer reports. Then the article has the source equating radiosonde and "ray wind" target weather balloons, when they were distinctly different. Similar mistakes in identity were made by military sources on July 8 after Gen. Ramey began circulating his weather balloon cover story. Conceivably this story, with a source refusing to identify himself and espousing similar mistakes and explanations as the military, could have been a military plant as part of their overall flying saucer and Roswell debunking campaign. In Tucson, Arizona, on July 11, two men claimed that a radar target nearly hit them while driving their truck. They were allegedly so unnerved at first, that they almost wrecked their vehicle while avoiding the device. One of the men then definitively declared that he was now sure this was the same object he had seen before and that everybody else was now seeing. 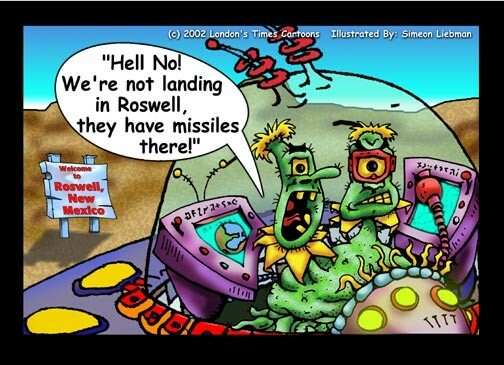 The radar target was also compared to the one found near Roswell which had recently caused all the ruckus. There is no clear evidence that these men were connected with the government or military, yet the wording of the story is very suspicious. There was also no photo to show that the men had, in fact, had a near collision with a radar target, an oddly missed photo opportunity for the newspaper (The Arizona Daily Star, July 13). Again we are left with the question as to whether this was merely a private citizen independently expressing an opinion or a military-affiliated CAP member publicly debunking the saucers as weather balloons at the behest of somebody else. The military effort to debunk was aided and abetted by an already skeptical press, which ran a number of articles, columns, and editorials generally ridiculing the phenomena before and after the Roswell incident. Besides articles and photos on the weather balloon demos, there were also some quotes from various high-ranking military officers expressing extreme skepticism about the saucers, sometimes resorting to deliberate ridicule. HUGE DISC SEEN IN FAIRFAX [Virginia] SKY; UNEARTHLY SIGHT! A very bright, saucer-shaped disc suddenly appeared in the sky to the southwest, was visible for about 10 seconds, and then disappeared. It was moving from east to west. . . . I estimate that the altitude of this object was a least 10,000 feet and its diameter was greater than 100 feet. It appeared to be traveling at a ground speed of about 750 miles per hour. "I do not believe that this phenomena was of United States origin. In fact, it is my opinion that it was the sun ducking behind two clouds." Another high ranking Naval officer to debunk the saucer reports (though in a more restrained manner) was Admiral William H. Blandy; former commander and chief of the Pacific Fleet, and now commander of the Atlantic Fleet, and Task Force commander of the Bikini A-bomb tests a year earlier. Blandy stated in the New York Times front page story on the Roswell incident (July 9, 1947), "I remain to be convinced there is any such thing. I am convinced that there is nothing the Army and Navy is concerned with. I am curious, like everybody else, to see what's behind it." The famous Blandy's remarks were widely reported in the nation's press. President Truman also got into the act. At a press conference on July 10, Truman compared the "Flying Saucers" controversy to the great moon hoax over a 100 years before. The moon hoax was printed in the New York Sun in 1835 and told of the discovery of man-bats living on the moon and seen through a secret, powerful telescope. Many people thought the story was true. After ridiculing people's belief in the saucers, Truman added that he knew nothing more about the saucers other than what he read in the newspapers. Back in Fort Worth, the debunking continued through Col. Alfred Kalberer, Ramey's chief intelligence officer. Kalberer along with Ramey had already been scoffing at the saucer reports in interviews back on June 30 and July 1, according to some news stories in the Texas and New Mexico press. On July 10, Kalberer went to the local Lions Club. Kalberer adopted a scattershot approach. He attributed the "flying disc" sightings to mass hysteria, glimpses of distant P-51s, and specks before the eyes. As to the highly publicized and highly credible sighting by a United Airlines' crew on July 4, Kalberer said, "The airlines pilot who saw the discs might have seen a guided missile directed by a plane some distance away. We are playing around with all sorts of freak things." Of course, the mystery guided missile project was pure confabulation by Kalberer. Nobody knows of any such project. Interestingly, the Pacific northwest disk sightings were also singled out for mention at the Alamogordo demonstration the day before (see above) and a very similar, erroneous explanation of "secret experiments" was proffered as an "explanation". This again illustrates some level of coordination to the debunking. In July 1994, the Office of the Secretary of the Air Force concluded an exhaustive search for records in response to a General Accounting Office (GAO) inquiry of an event popularly known as the "Roswell Incident." The focus of the GAO probe, initiated at the request of a member of Congress, was to determine if the U.S. Air Force, or any other U.S. government agency, possessed information on the alleged crash and recovery of an extraterrestrial vehicle and its alien occupants near Roswell, N.M. in July 1947. The 1994 Air Force report concluded that the predecessor to the U.S. Air Force, the U.S. Army Air Forces, recovered debris from an Army Air Forces balloon-borne research project code named MOGUL. Records located describing research carried out under the MOGUL project, most of which were never classified (and publicly available) were collected, provided to GAO, and published in one volume for ease of access for the general public. Air Force activities which occurred over a period of many years have been consolidated and are now represented to have occurred in two or three days in July 1947. "Aliens" observed in the New Mexico desert were actually anthropomorphic test dummies that were carried aloft by U.S. Air Force high altitude balloons for scientific research. 2. a 1959 manned balloon mishap in which two Air Force pilots were injured. This report is based on thoroughly documented research supported by official records, technical reports, film footage, photographs, and interviews with individuals who were involved in these events. In June of this year, the Air Force released their second massive report on the now well–known Roswell incident that occurred in and near Roswell, New Mexico in early July, 1947. The first Air Force report in September 1994 concluded that the debris found by rancher Mac Brazel was from an Army Air Forces balloon–borne research project code named MOGUL. Despite the seeming finality of that first report, the Air Force clearly felt the need to release a new report that discusses the claims of alien bodies that were found at a second location in New Mexico in 1947. 2) But. . . these witnesses are mistaken about when the events they saw occurred, and they are also seriously mistaken about details of the events. Additionally, witnesses are conflating together several events that occurred at different times into a single event, and in every instance, the events the witnesses saw were normal Air Force activities. 3) In particular, the Air Force claims that the bodies observed were from scientific and engineering tests using anthropomorphic test dummies carried aloft by balloons, and "unusual" military activities were actually high altitude research balloon launch and recovery operations. 4) A Mogul balloon is still needed to explain some witness accounts, so the Air Force is now claiming that both a Mogul balloon and a balloon with dummies caused the Roswell testimony. As with the 1994 report, the new report is clumsily padded to make it appear to be lengthy and impressive. This is done by using a large font, many irrelevant photos, and wide margins. A great deal of research was done by the Air Force to gather information about balloon projects in New Mexico, including interviews with surviving members of the balloon teams. But as was the case in the 1994 report, no effort was devoted to interviewing still–living witnesses of the events from 1947. This makes a mockery of the claim by Secretary of the Air Force Sheila E. Widnall in the Foreword that "Our objective throughout this inquiry has been simple and consistent: to find all the facts and bring them to light." In the statements below, we detail the errors, omissions and faulty reasoning in the Air Force report. These defects are so egregious in some instances that we wonder whether the report was even reviewed at the Pentagon. The general flaw in the Air Force report is clear: if the testimony is taken at face value, then the Roswell events occurred in 1947, and the Air Force could find no explanation for tales of alien bodies from its activities in that year. Accordingly, the Air Force, with no supporting rationale, simply assumed that the witnesses were mistaken about the date of the incident. In other words, if the Air Force, in good faith, treated the events as occurring in 1947, they would have been stuck without an explanation. The result is the preposterous report they just produced. Problem: The Air Force considers Gerald Anderson to be an honest witness who is simply mistaken about dates, places, and details. It relies heavily on his testimony to demonstrate similarities between Anderson’s description of the alien bodies and anthropomorphic dummies. Fact: No pro–cover-up Roswell researcher considers Gerald Anderson to be an honest or believable witness. Anderson has admittedly falsified his telephone records and a diary to support his claims. Don Berliner, a primary investigator of his claims, has written as early as 1993 that he "no longer has confidence in the testimony of Gerald Anderson." Problem: The Air Force ignores the testimony of Frank Kaufman. Fact: Kaufman claims to have been involved with the recovery of the alien bodies, and he was in the military stationed at Roswell. His claims have never been convincingly refuted. His testimony should have been included in the report. It was, most likely, not included because it is impossible to suggest that Kaufman could be confused about events in which he participated and for which he took written notes. Problem: The Air Force, although interviewing balloon project members, did not ask them what they thought of its new theory to explain the stories of alien bodies. Fact: Lt. Col. (Ret.) Raymond A. Madson, a project officer on Project High Dive for four years, told the Associated Press last week that there is no way the dummies could be confused with aliens. Moreover, he noted that there was a reward notice on the dummies and that they were stamped with labels identifying them as Air Force property. Problem: James Ragsdale’s testimony is not considered in full, even though a transcript of an interview done by ufologists is included in an appendix. Fact: Ragsdale’s description of how the object he saw landed (with a bright light and at high speed at night) is ignored, as is his description of the appearance of the debris, which looked nothing like a balloon. Instead, his use of the word "dummies" is taken out–of–context throughout the report. Problem: Only one balloon landing was even remotely near the site north of Roswell where the craft and bodies were allegedly found. Fact: There is no reason for witnesses to be confused by a balloon and dummy recovery that took place miles from the crash site. Problem: The Air Force claims that anthropomorphic dummies "were not widely exposed (sic) outside of scientific research circles and easily could have been mistaken for something they were not." Fact: The Air Force, a few pages later, admits that the dummy program, and balloon programs in general, received extensive publicity, including in books, national magazines, and the 1956 movie On the Threshold of Space. This makes it highly unlikely that witnesses who lived in New Mexico would be confused by balloon activities and mistake them for aliens. Problem: The Air Force theory obviously depends on the UFO witnesses having actually viewed balloon and dummy recoveries. 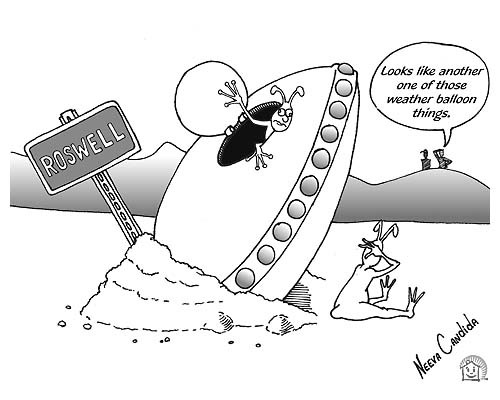 Fact: No witness involved in Roswell can be placed at any recovery. In fact, Air Force balloon personnel, asked about the witnesses, such as Gerald Anderson, cannot ever remember seeing or meeting these people at sites of balloon recoveries. Problem: All anthropomorphic dummies were the size of adult males because only men were pilots in those years. Fact: Witnesses to the bodies all report that the aliens were small and child–like in size (about four feet tall). Problem: The Air Force explains Glenn Dennis’s story about aliens by claiming that he inadvertently blundered into the base hospital when autopsies were being done on burned crewmen from an aircraft accident near the base. Fact: Three of the bodies from that accident were taken to the Ballard Funeral Home where Dennis worked. Given this fact, it is preposterous to suggest that Dennis remained confused about just who or what was being autopsied at the base hospital. 1) Autopsies of dead crewmen from a KC–97 accident on June 26, 1956. 2) A balloon mishap that occurred west of Roswell on May 21, 1959, and Capt. Joseph W. Kittinger, who had red hair, and who was present at the base hospital after the accident. 3) Colonel Lee F. Ferrell, who was at the base hospital from October 1954 to June 1960. 4) Nurse Lucille C. Slattery, who was Chief Nurse at the hospital in 1947. 5) Nurse Idabelle Wilson, stationed at the base from February 1956 to May 1960. 6) Nurse Eileen M. Fanton, stationed at the base from December 1946 to September 1947. The reader is left to judge the likelihood of all these unconsciously being combined into one event by a sane, competent witness, one who cannot even be proved to have been at the hospital in 1959, or to have known or met any of these military personnel. In summary then, examination of this latest report demonstrates beyond a shadow of a doubt that it was NOT an objective inquiry. Regardless of one's personal opinion of UFOs, it is plain to see that SOMETHING occurred that has resulted in two "final" AF reports within three years. One can only conclude that it is simply another government whitewash attempt, or worse, a clear case of incompetence and waste of taxpayer money. We look forward in eager anticipation to the next "final" Air Force report on the Roswell event. The Roswell Report: Case Closed, James McAndrew, Headquarters United States Air Force, Washington, DC, 1997.